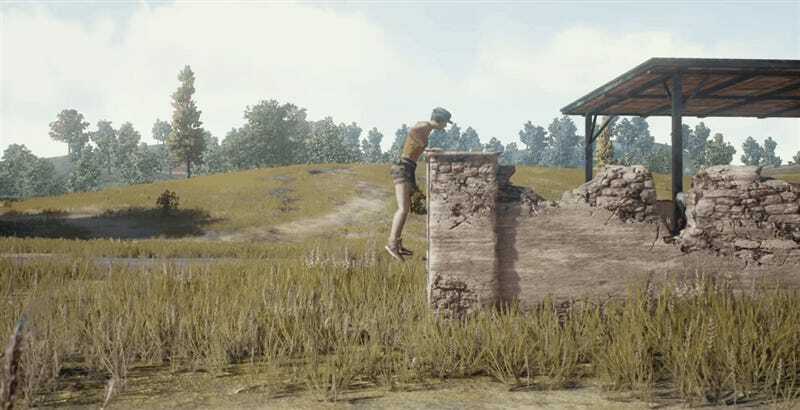 Remember, as fun as it is, PlayerUnknown’s Battlegrounds is still a work in progress, so lots of things are going to not just change, but be added to the game as well. Stuff like climbing, vaulting and weather. The climbing looks incredibly useful! The vaulting looks like something that is going to glitch out a lot and send people flying off cars. And the weather looks like something I hadn’t even noticed was missing in the game but will be glad it’s there when it arrives. You can see all three in action in this trailer shown at the PC Gaming Show at E3 (via PC Gamer). They’ll be in the game...sometime in the future.